ATTORNEY JOHN P. SANDERSON, III, joined the law firm as an attorney in 2007 and concentrates in the areas of Civil Litigation, Wills and Trusts, Estate Administration, and Real Estate Transactions as well as Civil and Orphans’ Court Litigation. Attorney Sanderson is a graduate of Widener University School of Law and was a recipient of a Merit Scholarship and was a finalist in the First-year Moot Court competition. He also was named to the Widener University School of Law Dean’s List during the Fall of 2004 and the Fall of 2005. He graduated from the University of Scranton in 2002. While at Scranton, he played on the golf team and baseball team and was the sports editor for the University student newspaper, The Aquinas. He is a member of the Pennsylvania Supreme Court, the New York Supreme Court, the New York State Bar Association, the Lackawanna County Bar Association, the Luzerne County Bar Association, the United States Middle District Court of Pennsylvania, and the American Bar Association. He is admitted to practice law in New York and Pennsylvania. Attorney Sanderson served as an executive board member of the Young Lawyers Division of Lackawanna County Bar Association from 2009 to 2012. Since 2012, Attorney Sanderson has served as an Arbitrator in the Lackawanna County, Pennsylvania, Court of Common Pleas. 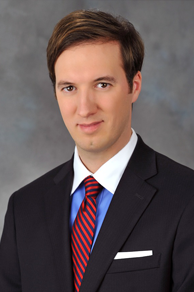 Attorney John P. Sanderson III was named a Pennsylvania Super Lawyer Rising Star for 2011 and 2012, which is recognized in the Law & Politics and Philadelphia Magazines. Super Lawyers Rising Stars are the top 2.5 percent of attorneys in each state, as chosen by their peers and through the independent research of a special panel. His Super Lawyers profile can be viewed online at www.superlawyers.com. In 2013, Attorney Sanderson was licensed as a Pennsylvania Resident Title Agent and obtained a membership in the Pennsylvania Land Title Association. Attorney Sanderson was selected to serve as an executive member of the Board of Trustees at Saint Mary’s Villa Nursing Home, which serves as a nursing facility for elder people. 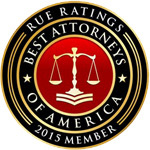 In 2015, Attorney Sanderson was selected and received an invitation to become a member of Best Attorneys of America, a national publication. Less than one percent (1%) of the lawyers in the United States have been invited to become members of this distinguished group. The lawyers selected and chosen are lawyers nominated through an attorney peer review process, which is carefully screened and limited to the most qualified and accomplished attorneys in the United States. In 2016, Attorney Sanderson received an AV Preeminent Peer Review Rating by Martindale-Hubbell, which is the highest rating of professional excellence given by his attorney peers. 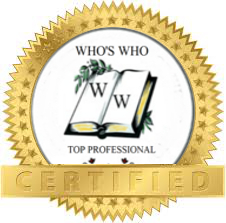 He also was selected in 2016 to the Top Attorneys of North America edition of The Heritage Registry of Who’s Who. Also in 2016, Attorney Sanderson was selected by the National Academy of Jurisprudence as one of the Premier 100 trial attorneys in Pennsylvania. This invitation is extended exclusively to those trial attorneys who have met stringent qualifications and who have shown exemplary representation of their clients as a premier trial attorney. He received this award for his excellence in Orphans’ Court litigation. Attorney Sanderson is in practice with his father, John P. Sanderson, Jr., Esquire, and his brother, Scott R. Sanderson, Esquire, and resides in Clarks Summit, Pennsylvania.